Is Increased Intestinal Permeability making you sick? If you have ANY health problems, it's likely that Increased Intestinal Permeability is directly responsible! In fact, Increased Intestinal Permeability- also called "Leaky Gut Syndrome" may be THE UNDERLYING CAUSE of most chronic health problems!! How can I make that claim? Well, Leaky Gut Syndrome is a problem of Not Absorbing Nutrients and a problem of Sewage in Your Bloodstream- and this is NOT an exaggeration!! Your digestive tract is not only your First Line of Defense against the pathogens that come into your body through your food. And 99% of all pathogens enter into your body through what you eat and drink! But it is also where 100% of Nutrient Absorption takes place- and if it's damaged, you will simply NOT absorb nutrients. Your small intestine is literally one cell thick and is the only barrier between the food that you eat and your bloodstream!! These cells, called intestinal villi, are packed tightly together and are designed to absorb nutrients from your food and send it directly into the neighboring bloodstream that it is only one cell away from. 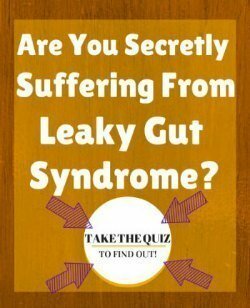 Video of Leaky Gut Syndrome! But this ultra thin barrier doesn’t just protect you from pathogens in your food, but from your food itself!! It is ESSENTIAL that food particles do not get into your bloodstream. I know that it seems silly to think that food even COULD get into your bloodstream- yet that is EXACTLY what happens with Increased Intestinal Permeability! You see, anytime that you get severely stressed, your intestinal tract becomes inflamed- and when inflammation occurs, the intestinal cells that are usually packed tightly together- begin to swell. Under normal conditions, the Adrenal Glands produce a stress hormone called cortisol that decreases this inflammation and all is well again. But if you are under severe stress for months or years- you get divorced, your mother dies, you’re working 80 hour workweeks in a job that you hate- the Adrenal Glands will Begin to Get Fatigued and won't be as effective at reducing the inflammation. This constant swelling will eventually damage the cells and small gaps will form in between their usual 'tight junctions'. Once this happens, those tiny gaps and inflammation prevent you from absorbing nutrients AND allow pathogens from your food and tiny undigested food particles into your bloodstream!! And that becomes a HUGE PROBLEM as you will soon see. When Increased Intestinal Permeability allows food or pathogens into your bloodstream, your immune system gets activated in order to fight off the “invader”. In the case of a pathogen, this is GREAT- as the next infection will be fought off easier. However, in the case of food particles, this is NOT a good situation. Your body recognizes that food particle as the enemy. And each time you eat that food, the Immune System continually mounts a stronger and stronger response to that invader. This is What Causes Food allergies- usually to milk, wheat, corn or soy- and is often the 'trigger' for Gluten Sensitivity- which is a HUGE undiagnosed health problem! Some people are more aware that the food that they are eating is making them ill and they avoid those foods, but these food reactions can take hours or days to really be felt. By that time, all you know is that you don’t feel well, but you don’t associate it with the food you ate 2 days ago! And if you eat that food nearly every day, then all you know is that you are always feeling tired and unwell. When the first barrier of the intestinal wall is breached by pathogens or food particles, the body has a second line of defense- the liver. The liver, when it’s healthy, is able to use it’s own immune system to take care of any pathogens or food particles that have escaped- and dispatch them without too much trouble. But when Increased Intestinal Permeability becomes the normal situation- the liver gets bogged down processing all of the excess junk that is coming at it. Your liver can only do so much! When it gets overloaded, it begins to store Environmental Toxins from your food, water, air and home products -in your fat so that it can ‘get to it later’. If Leaky gut is the problem, then later never comes. When the liver gets REALLY overloaded, some of these molecules begin to get into your general circulation- and this is where the problem gets REALLY messy. Your entire immune system gets involved and goes into overdrive. Drugs can make this problem even worse. Increased intestinal permeability is a Tylenol Side Effect that is observed in 50-70% of long term acetaminophen users. In addition, the exposure to at least one specific chemical - known as Bisphenol A, Has Been Shown In This Study to cause increased intestinal permeability on CONTACT with the substance! If this occurs with Bisphenol A, could this also be the case with OTHER toxic chemicals? When the immune system begins to be activated on such a large scale and on such a constant basis, it's almost a sure thing that you will have some sort of chronic illness. 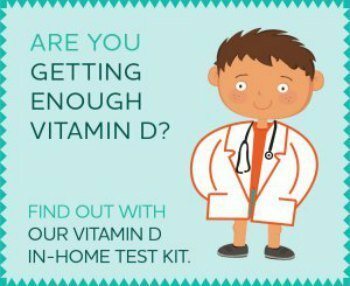 Everyone reacts differently to this, but it’s likely that you’ll be feeling pretty bad and will have been to the doctor a few times for your ‘disease symptoms’ that are really just symptoms of Increased Intestinal Permeability and liver toxicity. Sound like you or someone that you know?? So, while you MAY be suffering from a ‘chronic health problem’ you’re REAL problem is Increased Intestinal Permeability. You will never get better, and you will be like the rest of the population with chronic health problems who ‘manage’ their illness forever and never actually get rid of their problem. Helping people to get better is the reason why I got out of nursing and into Functional Medicine- because Western Medicine simply does not know how to deal with complex problems like Leaky Gut Syndrome. Remember folks, this is a DOCTOR talking about Leaky Gut Syndrome and showing how it works. Yet, it's likely that your doctor, while maybe not completely denying its existence, is going to look at you with a blank stare and tell you that it's not an issue. It's only not an issue because your doctor doesn't know how to look for it or how to go about treating it, even if he did know what it is or how to find it. Solving Leaky Gut- Solving Leaky Gut is a comprehensive program that will help you to solve your health problems which, almost invariably, start in the gut! Watch the free webinar! It's a must. The Healthy Urban Kitchen - The first thing that you MUST do to heal Increased Intestinal Permeability is to eat a HEALTHY gluten free diet. The Healthy Urban Kitchen will teach you the RIGHT way to eat gluten free without sabotaging your intestinal healing with gluten free junk. 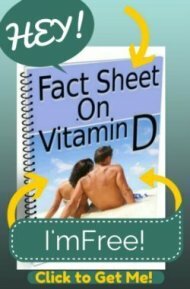 Take a look and download this book right now! Prescript Assist Probiotic- Probiotics are really a MUST if you want to heal your leaky gut. Many probiotics are NOT what they claim to be, so getting probiotics from a reputable source is IMPERATIVE.